PARTNER NEWS: NXP has launched NHS315x, a therapy adherence improvement platform that includes NFC sensors embedded in blister packs and pill bottles. The solution will let chronically ill patients use their smartphone to track which medication was removed from the package at what time. 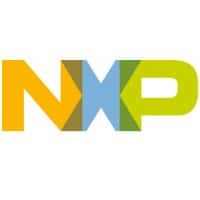 Eindhoven, Netherlands, November 18, 2015 – NXP Semiconductors N.V. (NASDAQ: NXPI) today announced the launch of NHS315x, a therapy adherence improvement platform. This marks NXP’s commitment to the Smart Health sector and showcases the pivotal role technology can play in long-term patient therapy. Despite medical advances in recent decades, many treatments are still not as effective as they could be as many patients do not take their medicines as prescribed. Elderly patients may have difficulty in remembering to do so. Chronically ill patients may discontinue taking their medication once they feel better, unaware their disease may recur with severe knock-on effects. The incurred impact linked to poor therapy adherence in the US is estimated around 280 Billion USD and 125,000 casualties every year. NXP is launching a solution that helps address this problem. An NFC-enabled sensor is embedded in blister packs or pill bottles and tracks which medication was removed at what time from the package. That information is recorded through the user simply tapping their smartphone to the package. This information can subsequently be used to offer therapy specific and personalized services to support patient, care-giver or healthcare professional. The product value proposition has already been confirmed in the Honors Academy program at the Radboud University in the Netherlands, who conducted a study around therapy adherence and how technology can be effectively used to address the problem. NXP will collaborate with pharmaceutical and medical packaging companies, application developers, as well as public and private payors to deploy this solution. It will be demonstrated for the first time at AIPIA World Congress 2015 in Utrecht, Netherlands on November 18 & 19. AIPIA World Congress 2015 is held at the Jaarbeurs congress center, Utrecht with NXP presenting on 18 November at 16:40 and on Thursday 19 November at 16:30. For the full exhibition program click here.